GULFPORT– Cyrus Gold, once more popularly known as Solomon Grundy (purportedly born on a Monday), lamented recently the noticeable lack of star power over the years. 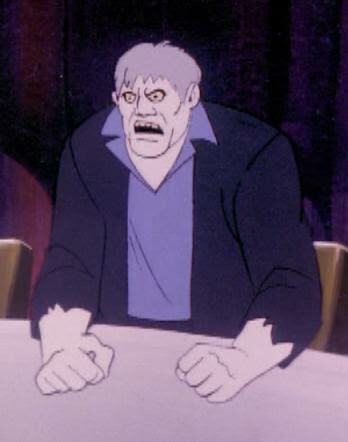 “Solomon Grundy used to be somebody,” Grundy stated with his noted Southern accent. “Now, nobody knows Solomon Grundy. Or the Legion of Doom! All kids know is video games!” added an increasingly agitated Grundy. Gruny was referring to the popular 80s detective show Scarecrow & Mrs King, where Crane played along side Kate Jackson, of Charlie’s Angels fame. Ruination forward Mike Marino, upon hearing about Grundy’s plight, simply replied, “Who? Over my head.” Marino, 24, admitted that he is largely unaware of cartoons that aired nearly 40 years ago, but was able to name all characters and plot lines from the Halo and Assassin’s Creed video game series.